"Present Status ad Future Plan of RIKEN RI Beam Factory"
Proceedings of the 7th International Particle Accelerator Conference (IPAC2016), Busan, Korea, TUPMR022, p. 1281 (2016). "World-wide Efforts on Rare Isotope and Radioactive Beams"
Proceedings of the 4th International Particle Accelerator Conference (IPAC2013), Shanghai, China, ERXCB201, p. 4000 (2013). Progress of Theoretical and Experimental Physics, 03C002. (2012). "Rare-Isotope Beam Facilities in Asia"
Proceedings of 12th Heavy Ion Accelerator Technology Conference (HIAT2012), Chicago, USA, MOB05, p. 28 (2012). Proceedings of the 3rd International Particle Accelerator Conference (IPAC2012), New Orleans, USA, THPPP040, p. 3823 (2012). "Review of High Power Cyclotrons for Heavy Ion Beams"
Proceednigs of the 19th International Conference on Cyclotrons and their Applications (CYCLOTRONS2010), Lanzhou, China, MOM2CIO01, p. 9 (2010). 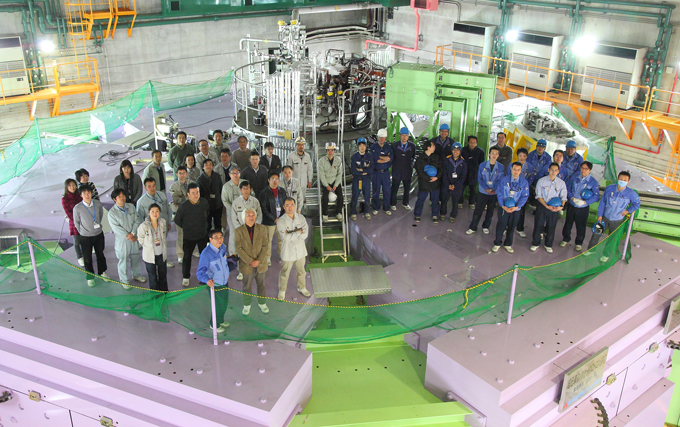 "The RIKEN RI Beam Factory Project: A status report"
Nucl. Instrum. Methods B 261, 1009 (2007). "Circuit-model representation of external-Q calculation"
Phys. Rev. ST Accel. Beams 9, 062003 (2006).